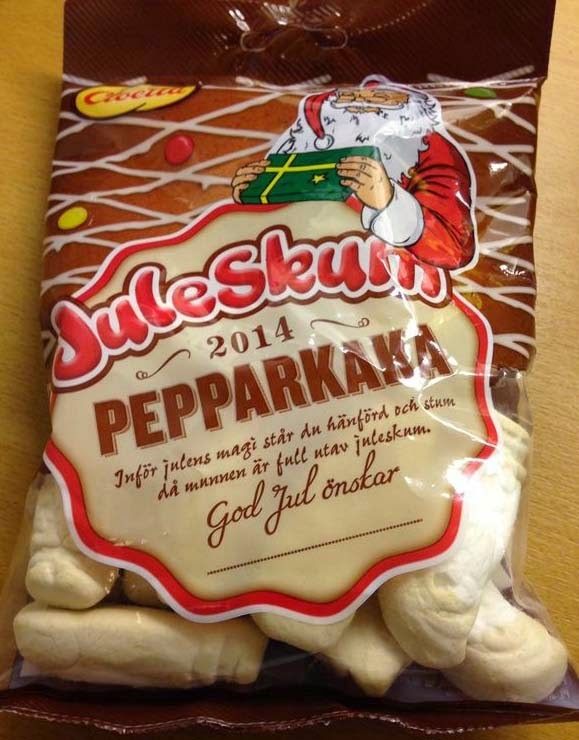 Juleskum Pepparkaka is a marshmallow candy with gingerbread flavour. Pepparkaka is Swedish for gingerbread. Juleskum (Christmas Marshmallows) is sold in Sweden during Christmas season and the original flavour is strawberry. But for a few years now the manufacturer Cloetta has made a special Juleskum taste for each year, which has included Winter Apples, Knäck (a hard toffee made in Sweden for Christmas) and this year it's Gingerbread. 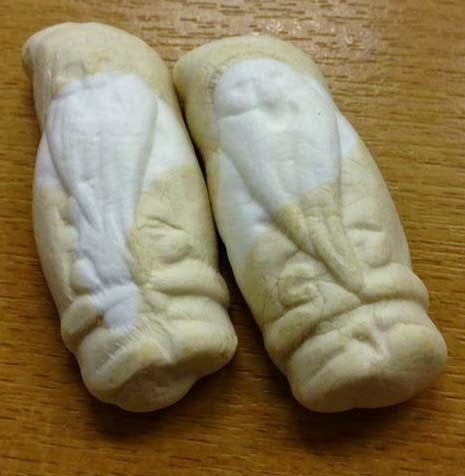 Juleskum are shaped like little santas. The marshmallow are chewier than American type and lasts longer in the mouth. The gingerbread flavour in these are quite poignant and a bit too overwhelming I think. I got thirsty after a few. Also I noticed some hits of tangy cola flavour. These (along with the previous flavours) sound like such a nice idea! Yeah, they were pretty tasty.